Resurrection Dialogues with Skeptics and Believers. New ways of thinking and knowledge have influenced or altered our comprehension of religious beliefs and doctrines. 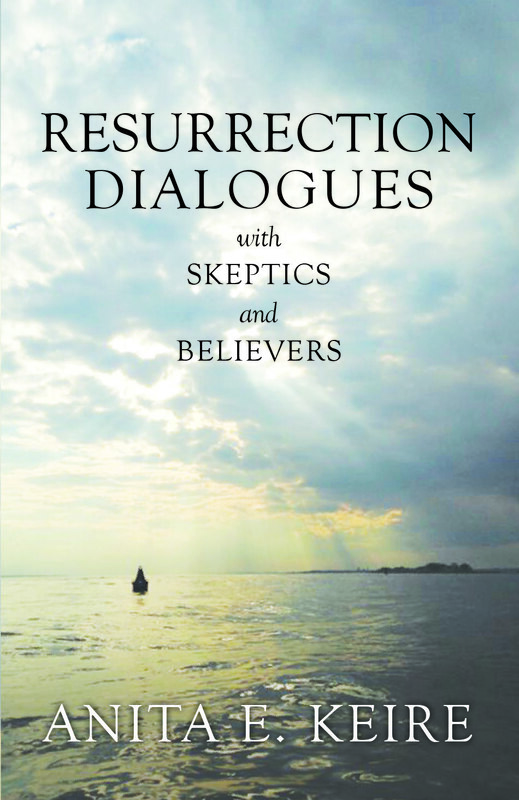 Resurrection Dialogues with Believers and Skeptics is the first book in a trilogy. The second and third books to follow are Christology and Redemption. 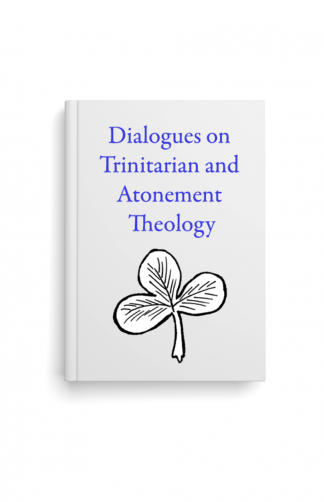 These three books will offer individuals and discussion groups an opportunity to recover the history and confessions of the Christian faith enabling them to arrive at a clearer understanding of Jesus’ nature, work, and resurrection. Seven individuals from various faith convictions question and challenge each other’s views as they discuss these topics. Let me tell you how I came to understand and learned the meaning and purpose for our lives. It has not been an easy journey. It began when I was eight-years old. My mother was crying. She pulled me into the pantry, shut the door, and held me in her arms. My mother dries her eyes, and we leave the pantry. No one is around. My mother tells me she feels better now knowing I will be her special helper. The scraping sounds of the front double doors and the heavy wooden-storm doors being forced open in the wintry night awaken me. I hear people talking ever so quietly in the front hall. My older sister in the bed beside me sleeps on. The time I have prayed for and dreaded is now. My mother’s pain and battle with cancer are over. By now I am 11 years old. The next few days are busy with funeral preparations, family, and friends. Then my father, three brothers, two sisters and I are alone. Platitudes such as “She was too good to live” and “God took her home” are people’s well-meaning efforts to comfort me. They do not answer my questions: “Why did she get sick?” “Why did she suffer?” “Why did she have to die?” “Why did God take her away?” “Where is she now?” “Where or what is heaven?” These questions haunted me for years. I never questioned the existence of God, only people’s expectations and explanations about God. I remember a special trip I made to my father’s office to ask him specific questions about my mother’s death. I wanted to be alone with him and to hear from him where my mother was and what resurrection means. He listened not too patiently. Looking back after these many years, no doubt his grief and doubts were just as great as my own. The difference was that he had the maturity to know that doubt is often a partner of belief. For me, his abbreviated answers lacked clarity. I did not understand what he told me, and he gave me no opportunity for discussion. That is when I decided to keep my questions and doubts between God and myself. I moved to the sidelines and waited for a dialogue to begin. When my youngest sibling went off to college, I felt my promise to my mother had ended. I went from a small town in northwest New Jersey to San Francisco. In time, I entered the University of California at Berkeley. There my intellectual world burst wide open. For the first time in my life, I learned about cultural and ideological differences. I examined the worthiness of these perspectives. From then on, I realized that our beliefs about God, acceptance or rejection of different modes of knowing, and the impact of culture and science on our consciousness, all shape our religious sensibilities. Christology--who Jesus is and why does he matter. Many religious historians, theologians, and authors influence the Christian church’s agenda. Some may be declared or undeclared atheists, ideologues, Gnostics, or opportunists who capitalize on people’s biblical and theological ignorance and vulnerability. Their impact on religious leaders, lay teachers, and believing individuals may create doubt, tension, and unreflective, uncritical acceptance of many Christian and not-so-Christian beliefs. Part of my struggle, and no doubt yours, has been to discern whose position I can trust and accept. Because of people’s quest to understand resurrection and Christology better, some 20 well-educated people of divergent religious backgrounds joined me in a monthly three-year discussion group that I facilitated. Between our meetings, we read books by various authors as well as material I created for analysis and discussion. 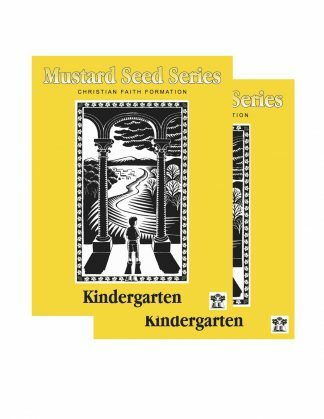 I am a retired United Church of Christ (Congregational) minister and author of the ten-grade level non-denominational Mustard Seed Series Sunday school curriculum and A Parent’s Guide to Prayer. 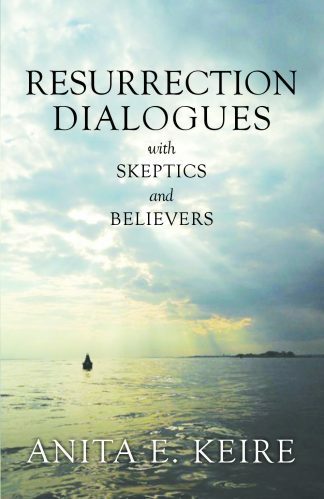 In Resurrection Dialogues, I created characters who are challenged with beliefs, doubts, and concerns many people have who exist inside and outside the Christian church. Some of these dialogues resemble the ones we had in our discussion group. In order to acquaint you with leading church historians’, philosophers’, and theologians’ perspectives, my characters at times may express those world views. Endnotes identify these references. My name is Mary. I consider myself a faithful Roman Catholic. I went to Catholic schools all the way through college. I attend Mass every Sunday and on holy days. But the scandals within the church and their cover-ups have thrown me and other Catholics into spiritual and emotional turmoil. My own priest stole peoples’ hard-earned money to support his partner in a New York City apartment. I wonder whether vows of priestly celibacy and poverty are all one big joke and hypocrisy. I go to different Catholic churches now but still feel alienated. I love mass and receiving Holy Communion. They are important to my spiritual life. My Catholic friends and I feel betrayed and are at a loss where to turn or what to do. We hope that Pope Francis will restore our trust in the church and in our priests and bishops. I hope he will lead and help us to develop and sanctify our spiritual lives. In the meantime, I want to get a broader vision of Christianity and learn what I can from all of you. My name is Edward. I am a physicist and come from a Protestant liberal family. I know science and religion have always sought peoples’ acceptance for either one of these two positions. I chose not to belong to either camp. Mary’s current state and misgivings with her church similarly caused me to reject authoritarian and all-knowing religions that claim for themselves to represent “God’s word” and “God’s law.” Nor can I accept the idea that outside the church there is no salvation and that the church is the fount and boundary for all learning. An historical example of this hypocrisy is Galileo’s scientific defense of Copernicus’ findings that the earth is not the center of the universe. Because Galileo’s scientific observations were not in accord with church teachings, the Inquisition unsuccessfully tried to make Galileo recant his position and forced him to live under house arrest until his death. Even then, the church denied him his final resting place. Like Galileo, I am a Christian believer, but find some of the movement in the churches to be too authoritarian or contrived and revisionist. 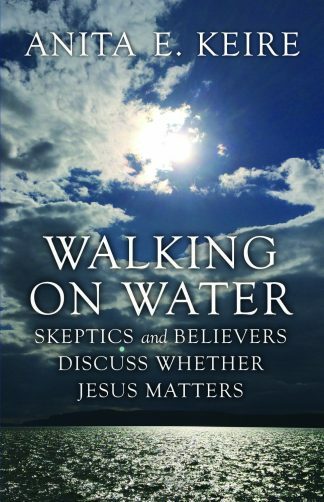 Maybe our discussions can help me in my faith journey. My name is Sarah. I am a Jew and a psychology professor. I have raised my fist numerous times at God for allowing the persecution, discrimination, and hatred of the Jews. I ask myself what individual and collective responsibility Christians have in this treatment. Most of my family was killed during the Holocaust. Fortunately for my immediate family and me, my father was teaching at Harvard University during that time. I feel we Jews are like Job in the Bible. We ask God why we are victims of anti-Semitism. Does God intend us to be the Gentiles’ scapegoats? Are all creatures predators and we Jews their special prey? Adding to my internal conflict with God and Christians, my daughter married a Christian. They now have a little boy and girl. I wonder whether I can be of help in their religious upbringing without causing any marital trouble between my daughter and her husband. So I am here to learn what you all have to say and whether I can find my future path. My name is Thomas. I come from a non-religious family who thinks religion represents a superstitious crutch for the weak. I belong to no church and have explored the tenets of various faiths, Christianity included. I fortunately have not experienced the trauma Sarah has but feel victimized by Christians for my unbelief. I have fallen in love with a Christian lady whom I would like to marry. But my unbelief and non-religious outsider status with her and her family give both of us pause as to what our future together should or will be. Maybe my time with you can help me. At least I hope so. My name is Milton. I teach philosophy at New York University. I come from an evangelical Christian background. My studies in philosophy challenge many of my current and former religious beliefs. So I spend considerable time studying theologians’ and church historians’ thoughts and works. I question many of their methodologies and the factual basis for many of their positions. Anita asked me to participate in this group because she thought my training and studies may be of some help to all of you. My name is Diana. I am an enlightened Gnostic Christian and a member of a church. I believe matter and the material world are evil. Salvation from this world comes only through attaining esoteric knowledge that is beyond most peoples’ comprehension. This esoteric knowledge comes to me through divine beings known as eons who exist beyond the cosmos and through “secret traditions” delivered by Jesus. Much of these beliefs are chronicled in the Gnostic Gospels found in Egypt in 1945. These gospels have had an enormous impact on today’s Christians and clergy whether they know it or not. So maybe I can help you understand what Gnostic Christianity offers. Chapter 7 What is Sin? Chapter 12 Does Eternity Have Gate Keepers?